On a coach ride between towns, a callow young man gets caught up in a round of tale-telling with his fellow passengers and ends up committing an indiscretion that will take a lifetime to undo . . . In the town of Besançon, a cloistered young girl reads a romance penned by a mysterious newcomer and schemes to take the place of the story’s real-life inspiration: a beautiful Italian duchess . . .
Two lovers stand in defiance of the age-old feud that has decimated their families: a vendetta that even Napoléon Bonaparte himself may be powerless to stop . 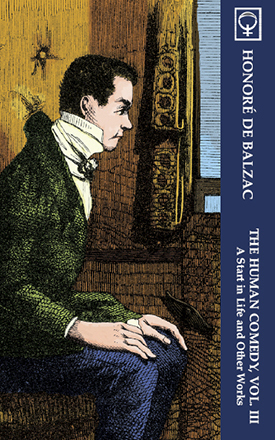 . .
Beginning again in life, whether in one’s profession, or, to a lesser extent, for the purpose of concealing one’s identity, is the theme that unifies the three stories in this volume of The Human Comedy.